Dehydration wears you out, both physically and mentally, so don't let your body get to the point where you start feeling thirsty. Instead, stay ahead of the game by drinking 8 ounces of cold water as soon as you wake up, then continue drinking throughout the day until you've had at least 8 glasses — more if you're working out and sweating profusely. TIP: Here's a free printable you can use to track water consumption. You can even tape it to your water bottle and mark off your water consumption throughout the day until you've developed the habit of drinking enough. Protein is a must when you're trying to develop lean muscle mass. An additional benefit is that it helps you to feel fuller, longer. According to WebMD, adults are encouraged to get 10 – 35% of their daily calories from protein. That's a wide range, but opt to stay closer to the higher end when you're trying to build lean muscle mass. Some bodybuilding websites recommend eating protein every 4 hours to help optimize protein synthesis, and I like that suggestion because you'll feel fuller if you make sure each meal or snack contains protein. For example, if you're going to snack on an apple mid-day, include some almonds or a few slices of turkey with it. I often eat salads for lunch, but I always try to include a protein source with each one. 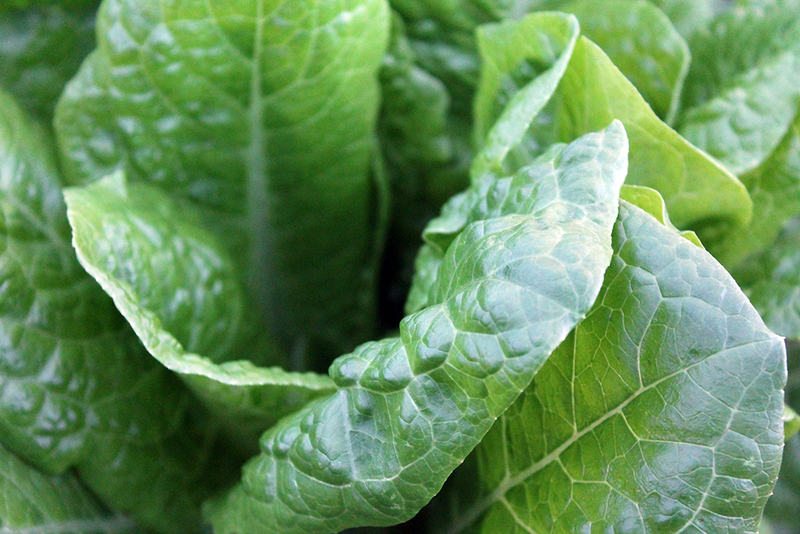 Green leafy veggies are chock full of nutrients, low in calories, and very filling. Broccoli, spinach, and lettuce are examples of foods that you can eat in large quantities without consuming many calories. You'll feel full, but you won't gain weight eating these foods. Filling half your plate with fruits and veggies is a good rule of thumb, but when I'm trying to get ultra-lean I'll fill half with veggies only and skip the fruit — unless I'm having an intense craving for something sweet. 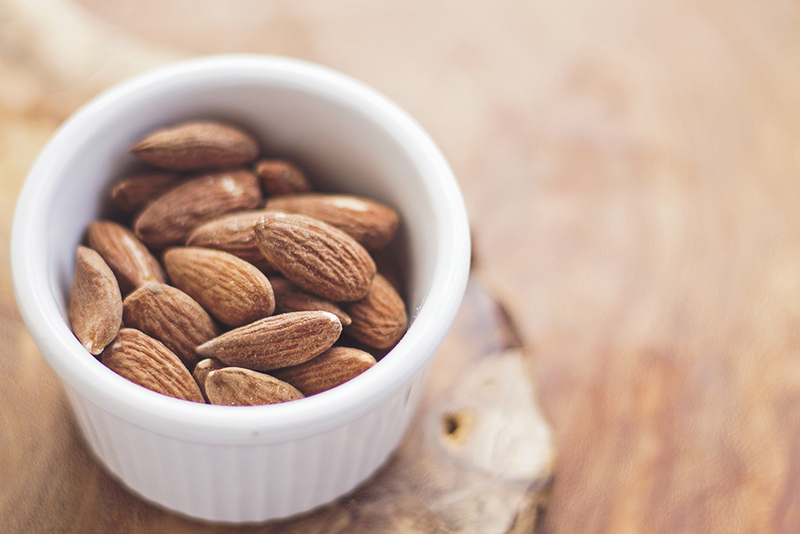 Don't cut fats out of your diet in an effort to get lean; fat is a necessity to help your body absorb certain vitamins and antioxidants, and it's also one of the main ways our bodies store energy. Kerri-Ann Jennings, M.S, R.D., of the Food Network recommends approximately 25% of your daily calories come from good (unsaturated) fats, such as Omega-3 fats. 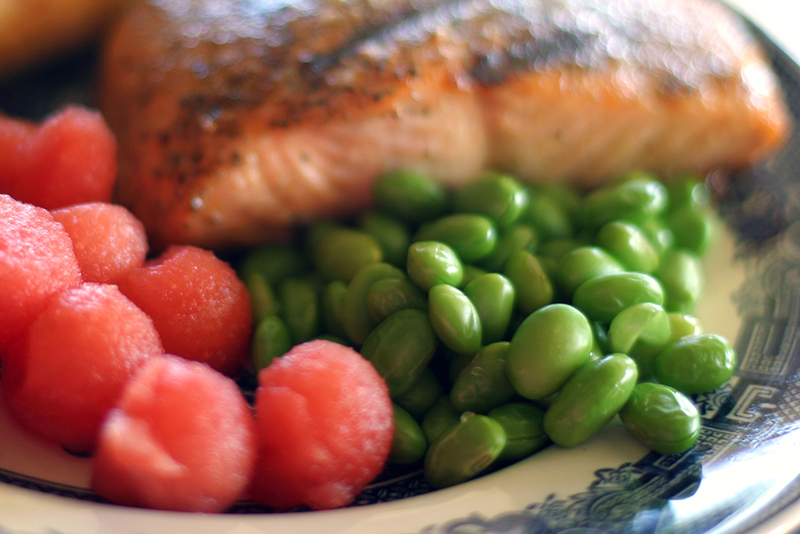 Salmon, trout, walnuts, and avocados are each good fat sources to add to your daily diet. To get lean fast, you'll need to shock your body with a double whammy of cardio plus resistance training. Cardio burns calories, so aim to do 30 minutes of cardio, 5-6 days each week. When that becomes rather easy, increase the time to 45 minutes. For even faster results, include one or two sessions each week of high-intensity interval training (HIIT) in place of regular cardio. While cardio burns calories, resistance training will get your body lean and defined. 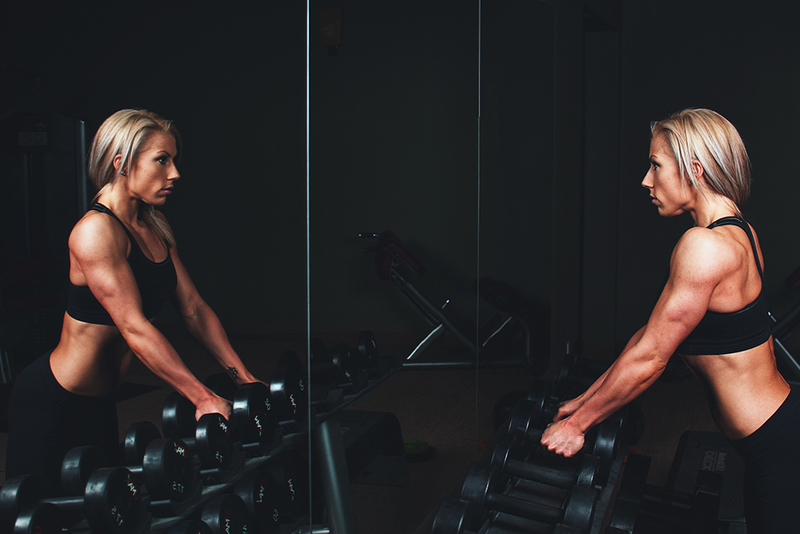 Your body will burn more calories at rest the more muscles you have, so add resistance training or weight lifting to your routine to develop those muscles! A few popular bodyweight exercises you can do at home are pushups, squats, calf raises, and tricep dips. An inexpensive way to begin building a home gym is by adding resistance bands or a few sets of dumbbells in various weights. It's good to aim for 8 hours of sleep each night to give your body a chance to fully recover from your workouts. According to health.com, sleep is imperative for losing weight: Researchers at the University of Chicago found that dieters who were well rested lost more fat—56% of their weight loss—than those who were sleep deprived, who lost more muscle mass. In addition to helping with weight loss, a good night of sleep can improve your memory, increase your life span, and lower your stress levels. If you know certain foods are unhealthy for your weight loss journey, yet you can't seem to resist them, do yourself a favor and remove the temptation. Clean out your pantry and fridge, and remove the most tempting processed foods, plus anything sugary — especially sodas, which have zero nutritional value. 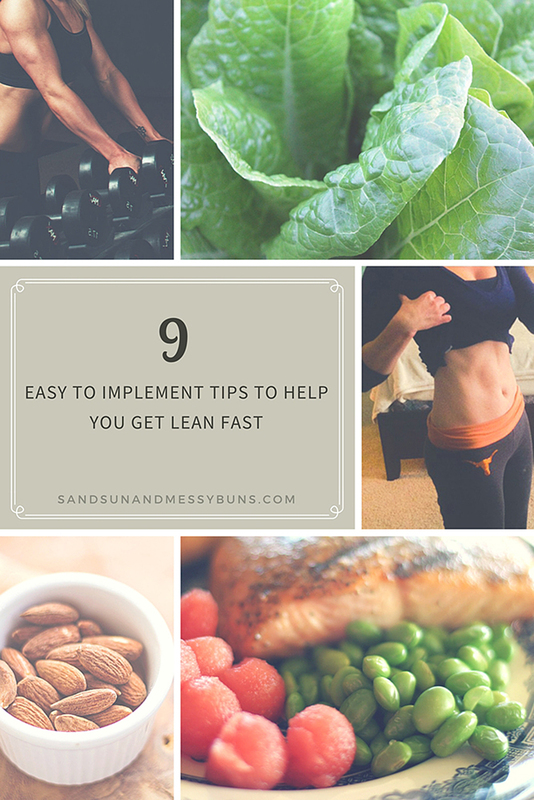 The key thought that runs through my head when I'm trying to firm up is to eat #LeanCleanAndGreen with lots of fresh veggies and lean protein sources. I'm a firm believer in visualizing your goals to make them a reality, so do whatever it takes to remind yourself of your end goal. You can create a vision board, post photos of yourself from the past when you've been at your goal weight, follow inspiring accounts on Instagram or browse Pinterest for motivating fitness images. Make sure you set realistic goals, and be sure to write them down. Having a concrete goal written where you'll have to see it every day will help keep you accountable. It also helps to take weekly or bi-weekly progress pictures, since it's difficult to notice changes in your own body. Like anything in life, it's always easiest to succeed when you have an actionable plan you can put in place. With that in mind, here's a handy cheat sheet you can print and tape to your mirror so you'll see it when you're brushing your teeth first thing in the morning! 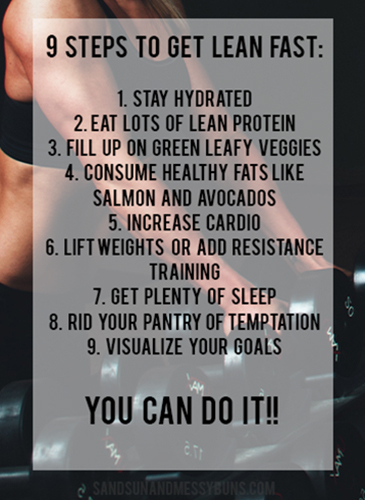 I hope these tips to help you get lean fast are helpful! If you have any questions, please let me know in the comments. Have a happy and healthy week!